Empire has just learned some important plot details for Bond 22, during the Sony launch of the new Bond film, Quantum of Solace. We have learned that the plot centres on an attempted coup in a South American country. Dominic Greene (Mathieu Amalric), who works behind the cover of an organisation called Green Planet, wants to control one of the world’s most important natural resources and to aid in this he makes a deal with an exiled South American general to get him back into power. As we reported ealier, a press conference and photocall for the 22nd James Bond film, now officially titled Quantum of Solace was held earlier today. Gemma, as well as Daniel Craig and fellow bond girl Olga Kurylenko were in attendance. I have added the first available photos with many more to come! Gemma looks great here, I really adore her look and she’s totally rockin’ the new hair! 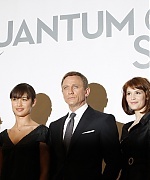 Sony Pictures has announced that the official title for the 22nd James Bond installment is Quantum of Solace. The title is taken from one of a collection of short stories published by 007 creator Ian Fleming in 1960. The new film sees 007 (Daniel Craig) out for revenge on a mission that takes him to Austria, Italy and South America. Bond girl Camille, played by Ukrainian-born Olga Kurylenko, leads the secret agent to Dominic Greene (Mathieu Amalric), member of a mysterious organization and a ruthless businessman, seeking to control huge natural resources. The plot follows on directly from Casino Royale, as Bond aims to uncover the truth about Vesper, the beauty who betrayed him, and discovers that she had been blackmailed. Sony Pictures have confirmed that there will be a press conference for Bond 22 tomorrow. The press conference will take place in Pinewood Studios near London. Additionally, there will be a photo call. Most of the main cast will be attending: Daniel Craig, Olga Kurylenko, Gemma Arterton, Mathieu Amalric, Jeffrey Wright and Dame Judi Dench. Director Marc Forster and producders Barbara Broccoli and Michael G. Wilson will also be there. It is not known if the title is revealed tomorrow. Parts of Bond 22 will be filmed in Bregenz, western Austria, on the edge of Lake Constance, Swiss production company Unicorn Media said. (Possible spoiler ahead!) The company is recruiting 1,500 extras for opera scenes set on a floating theater (spoiler ends). Unicorn Media has passed applications on to director Marc Forster’s London team, which will in turn choose the extras. The filming, which began January 3 in London, will move to Bregenz between April 29 and May 10. The new 007 film stars Daniel Craig, Gemma Arterton, Olga Kurylenko, Jeffrey Wright, Mathieu Amalric, Giancarlo Giannini and Anatole Taubmann. 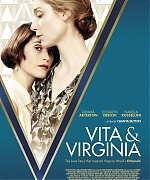 It is scheduled for a November 7, 2008 release.